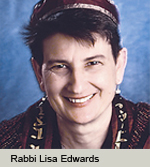 Read the beautiful Yom Kippur Drash from Rabbi Lisa Edwards of Los Angeles LGBT Congregation Beth Chayim Chadashim. In her drash, Edwards refers to the way we see and think about Israel, and mentions A Wider Bridge’s LGBTQ trip. I began to feel guilty this summer as I heard from more and more of my colleagues and friends who were spending time in Israel, including my brother. They would write blogs and e-mails and facebook postings describing with a hint of pride what it was like to hear sirens and rush down into bomb shelters. And I thought, it’s not that I was running away from Israel, but it’s nice to go someplace quiet for a vacation. You know, someplace that doesn’t feel quite so much like work (or war). But am I like Jonah whose story we hear tomorrow afternoon, running in the opposite direction from the place I’m supposed to be? The place God wants me to be? And if so, am I about to be swallowed by a whale? Interestingly, none of you who sent me these articles made a comment to accompany it. Did you mean it as a warning? as a dare? as a statement, and if so, what statement? something like: can you believe this happens at other synagogues? — it would NEVER happen at BCC! Or, perhaps, you meant to say, “see, not just at BCC, everywhere!” Perhaps you sent it because you wanted me to talk about Israel, perhaps you sent it because you didn’t want me to talk about Israel. Or maybe you just sent it because it was an article about rabbis and it made you think of me. My point is that I don’t know why you sent it. I’m kind of glad you did, but I also don’t know why I’m glad you did. Like so many communications between people, we often don’t have a clue what’s going on for the other person unless we talk about it. Have you ever mistaken what a friend or parent or child or partner said to you or didn’t say to you? It’s kind of like that. Perhaps that’s why in the whole long list of “sins” that Jews all over the world will be reciting tonight and tomorrow — the list of the mistakes we humans make — the majority of them are about words. Errors we make with what we say or what we don’t say, and to whom, how we say it or don’t say it, what we “hear” from others without clarifying whether that’s what they intended — all those sorts of “sins” are included in our lists. In the traditional liturgy of Yom Kippur we confess errors of speech at least 194 times.3 That’s a lot of misspeaking, misreading, misunderstanding, miscommunication. Or as I think about it: it’s a lot of missed opportunities. The way many people, Jews in particular, feel about Israel these days might be described as “confusion of the heart.” In those two articles one of the rabbis spoke about how Israel used to be considered a simple, unifying force among the Jewish people — the existence and necessity of Israel, and pride in how it came to be. But now Israel has become one of our most divisive forces. Some Jews are walking away from Judaism and Jewish identity because of their views about Israel. 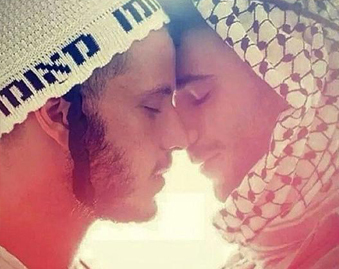 Some hear stories of the Gaza conflict, and feel their hearts giving up on Israel. For the wrong we did before You by giving up hope. For the wrong we did before You by closing off dialogue. And most of us, I venture to guess, are in-between somewhere. We who love Israel, and want it to survive and to thrive, also weep for Israeli lives lost, for the disruption to Israeli society, for the trauma suffered by Israeli children learning to live with fear; and surely we weep also for the children and innocent ones of Gaza, the ones killed and the ones living in fear there and the ones learning at such a young age to hate a place and a people we hold dear. But we don’t talk about it much. And maybe we don’t even tell ourselves about those feelings. For the wrong we did before You, by hiding our feelings, even from ourselves. And at the risk of committing some of those sins of speech, even in the midst of Yom Kippur when we are trying to wipe away those sins — it seems to me that we need to be talking about Israel. Not arguing about it, but allowing ourselves to feel out loud without fear of criticism or threat of violence against us, allowing ourselves to learn together and to learn from people who know a lot about Israel, and who do not necessarily hold the views we currently hold. I am increasingly concerned, aren’t you? about how comfortable so many of us have become in getting our news from news sources that take a clear point of view, instead of a neutral point of view? As much as I admire Rachel Maddow, I can’t allow her to be my only source of news. For the wrong we did before You by not listening to other informed points of view. We need to acknowledge that all aspects of the Israeli-Palestinian conflict are getting more and more painful and frightening, not just over there, or in Europe, but over here as well. And in here (sanctuary). And in here (heart). If we could really tell each other how we felt, without fear of reprisal, or criticism, or disdain — what would that sound like? If we felt free to ask questions aloud without worry of being dismissed or called stupid or naive, what would that feel like? If we could learn together in more depth what has happened or could happen, without dissolving into bitter argument or crushed friendships, what would that be like? For the wrong we did before You by refusing to listen to each other. I can tell you some of what it would be like: Last year right after the Holy Days, our friend and BCC member Bob Levy, a Ph.D. in history with an expertise in middle east history, offered an incredible course that lasted several months giving a long and insightful history of Israel, and of the Palestinian conflict. These are the kind of endeavors I am glad for us at BCC to be involved in. Thank you again, Bob, for your generous gift that allowed a dozen or so of us to read in depth and learn and discuss and share on so tender and challenging a topic. 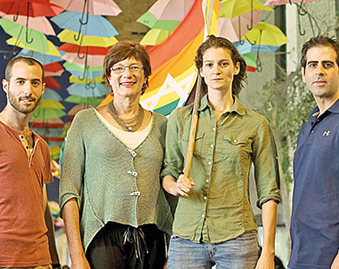 Another way to seek openness has happened for the past several years and will happen again at the end of this month when A Wider Bridge takes its 4th LGBT trip to Israel, with Cantor Juval as its clergy guide. 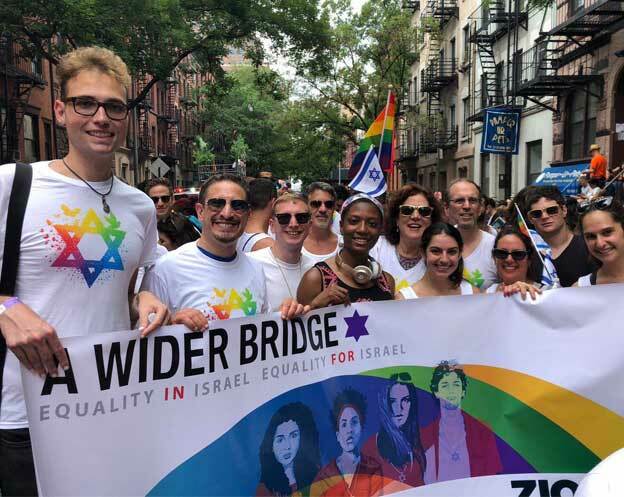 A Wider Bridge is a pro-Israel organization that builds bridges between LGBTQ Israelis and LGBTQ North Americans and allies through open dialogue and learning. And I’m pretty sure there is still room on this trip heading to Tel Aviv on October 21.